Hi, thanks for downloading my font Stark and I hope you like it. Remember: it's free for personal and commercial use! Hey, like me on Facebook: https://www.facebook.com/Skomii.PauloR to know more about me and what I'm doing. 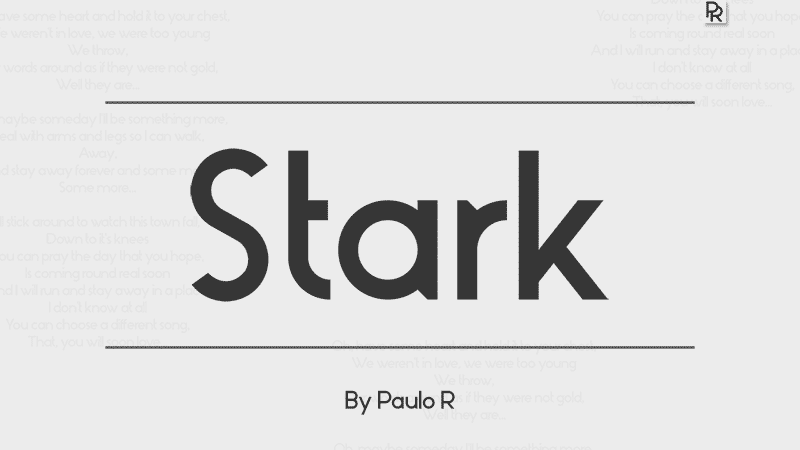 The font Stark was designed by Paulo R in 2014.